The Wii set the world on fire in sales, and it has an exhaustive library of games to choose from. As I did last week and the week before I am going to post a list featuring the exclusives of one of the big three's main consoles. Today it is the Wii's turn to shine. Which games will make the list? There is no need to wait. Just read on right now! When Rare was purchased by Microsoft it seemed that the Donkey Kong Country series was in jeopardy and was never returning ever again. 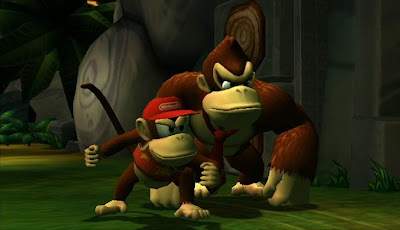 Then one E3 Nintendo revealed a trailer for Donkey Kong Country Returns, made by none other than Metroid Prime series developer Retro Studios. The game plays just like the Super Nintendo trilogy of DKC games. 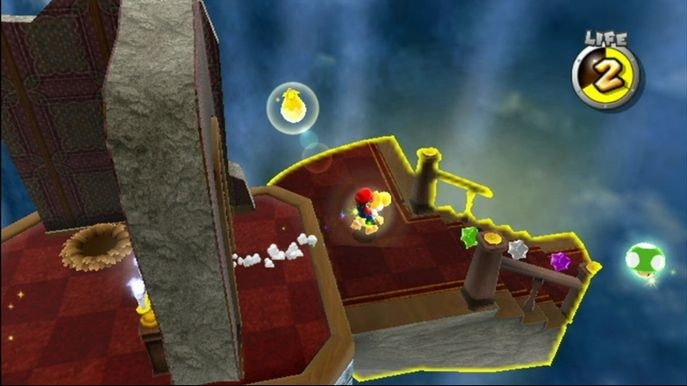 There were deviously placed obstacles and bonus areas, plenty of tricks and traps to watch for, and clever level design that continuously offered a new gimmick each stage. The game brought with it incredibly mine cart levels, intense rocket barrel sections, and cooperative play for up to two players. Donkey Kong Country Returns simply outclasses two of the three games of the original DKC trilogy; only Diddy's Kong Quest beats it. Speaking of cooperative play, New Super Mario Bros. Wii had four player action with Mario, Luigi, and a pair of Toads. 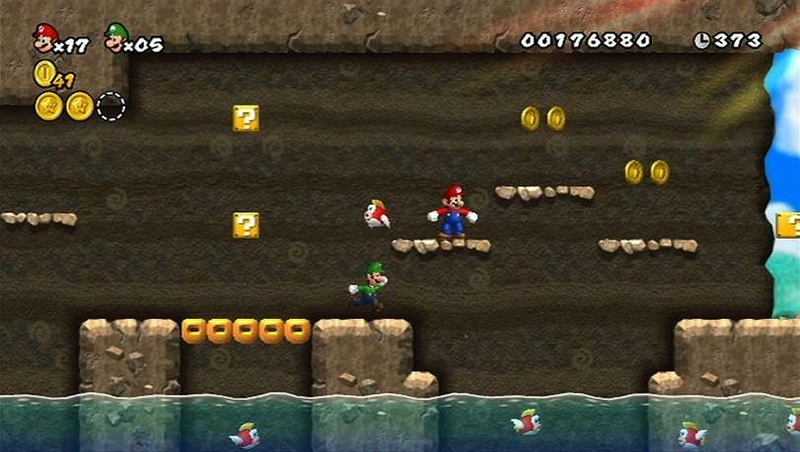 The levels were expertly designed featuring motives such as grasslands, jungles, deserts, beaches, icy plateaus, and lava oceans. The Koopalings were back from their extended hiatus and came back in force. The controls were not as tight as previous games in the franchise, but they were serviceable nonetheless. 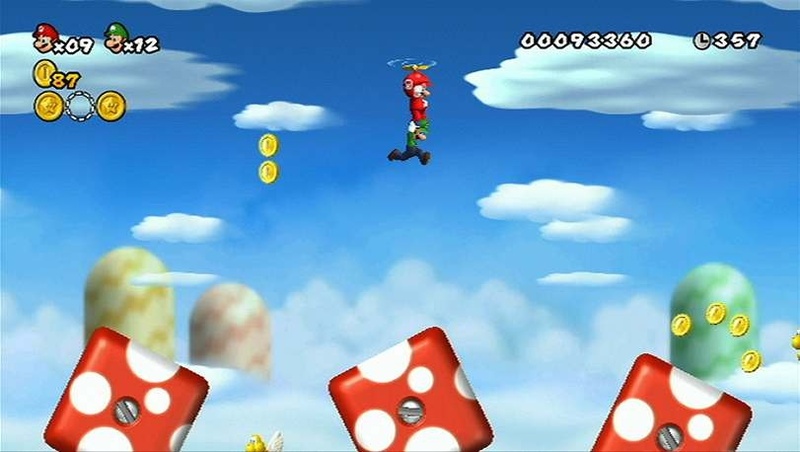 Jumping off the head of your partner to reach an out-of-the-way star coin, entering the secret ninth world of ultra-hard levels, and running from a gigantic Bowser in the final showdown while leaping carefully from moving platform to platform all make for wonderful memories of this marvelous title. New Super Mario Bros. Wii got a metric ton of sales, and they all well deserved as this 2D Mario is one of the best the series has ever seen. Let me preface this by saying that if you are "waggling" to play this game... you're doing it wrong. Stop blaming the game because you blow at it. That said, The Legend of Zelda: Skyward Sword was named SuperPhillip Central's Game of 2011, and it was a remarkable title. 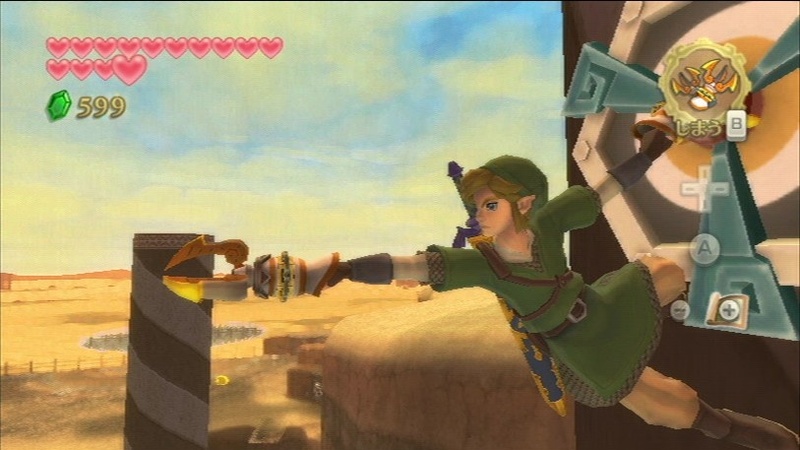 The addition of Wii MotionPlus was used for a plethora of tasks such as controlling the Beetle item, swimming, swinging from vines and ropes, and of course, battling with Link's sword. Enemies were not fodder this time around that could be generally defeated by lazily swinging around the Wii remote like Twilight Princess. No, you needed smart swings to fell them. An enemy who holds two blades horizontally could be taken out with a horizontal shot of your own, aimed right in the middle of the foe's two blades. 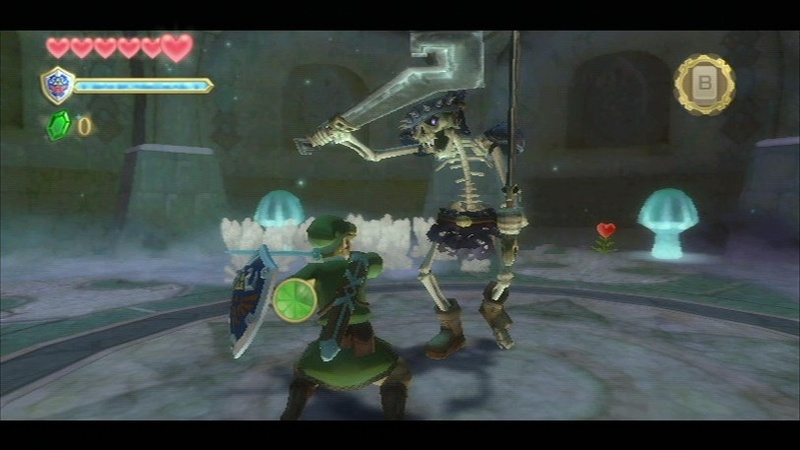 While the game had some tedious hand-holding as well as extensive padding late in the game, Skyward Sword still ranks as one of my favorite 3D Zelda games. The world is interesting, the characters are lovely, and the music is one of Nintendo's best soundtracks. Essentially a love letter to Nintendo fans all over the globe, Super Smash Bros. Brawl is one of the meatiest games I can think of. It had everything and more. 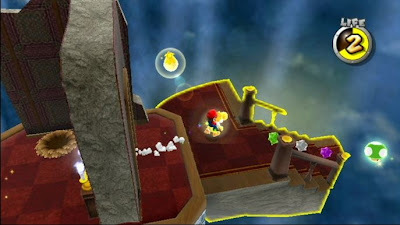 There were over 500 trophies to collect, various modes like the all-new Subspace Emissary, Classic, All-Star, Event, Boss Battles, and Stadium, stickers, a myriad of items, 30+ characters with Final Smashes, ultimate moves which are acquired by breaking a Smash Ball, 30+ stages such as Delfino Plaza, Mario Circuit, Mushroomy Kingdom, Smashville, Skyworld, Distant Planet, Port City: Aero Dive, Luigi's Mansion, Lylat Cruise, etc., there was the ability to create stages, and there were over 200 songs to unlock and listen to. Then there's the Challenges which are like achievements except these aren't just for you to brag pathetically to your friends about. You can actually unlock in-game content with them. Super Smash Bros. Brawl trumps Melee in nearly every department, and with bated breath I await Super Smash Bros. 4. 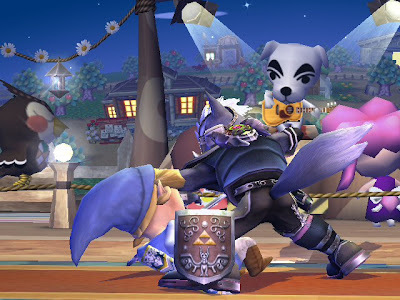 Make it happen, Sakurai! Not only was it SuperPhillip Central's Game of 2010, but it is one of my favorite games of all time. Why? It only has some of the tightest, most responsive controls around and some of the most marvelous level design in 3D platforming existence. The story is pretty much a non-thing with Peach once again being captured by Bowser. Thankfully the game spits you out right into the thick of the gameplay, allowing you to get your feet wet almost immediately. 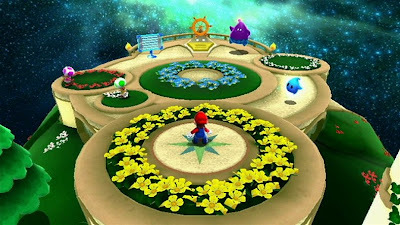 The great galaxies (or levels) the game offers has a wide variety of themes, areas, and trials for Mario or Luigi to triumph over. Some galaxies switch between a fiery motive and an icy one while another reintroduces the portly plumber to his old friend Yoshi from his Super Mario World days. After the initial 120 stars have been recovered, you have just begun. There are 120 green stars to retrieve, placed in precarious locations around the numerous galaxies. Super Mario Galaxy 2 shows that Nintendo is on top of their game when it comes to whimsical game design, and that they are the masters of pumping out compelling software for their systems. I always feel sorry for those who hate on the Wii. Such ignorance means they will never get a chance to enjoy the abundant range of titles the console's library has. Such a waste. As for those who love the system like I do, there is always something new to discover; a niche title that went under the radar that you just came across or a popular game that you just happened to miss. Which Wii exclusives do you deem the greatest? Hit me up with a comment below to start the discussion. While I agree with this list, it does go to show just how much the third parties struggle with Nintendo. Both creativily and in terms of making money from Nintendo consoles, it's a far harder proposition than it is to stand out on the other consoles. And, while Nintendo does a great job keeping its consoles alive, the 3DS and Wii U really does need some third party stuff in there as top exclusives. Actually, third-parties sold well on Wii. Just not the games you probably would like to. Perhaps if third-parties treated the Wii like a real console their "real" games would have sold. And on the DS, third-parties did wonderfully for themselves, so the whole "third-parties don't sell well on Nintendo platforms" is becoming more and more false by the day. Agreed, these are all solid exclusives. I did get to enjoy some great third party exclusives as well such as Silent Hill: Shattered Memories, No More Heroes 2, Madworld, Epic Mickey, etc. Phillip - my point was more along the lines of: would you have any third party games in your list of top DS games? Possibly, but not many. There's a real difference in the way Nintendo works compared to Sony and (especially) Microsoft. Nintendo is a very self contained company - it is largely happy providing good hardware and its own good games. If it can attract third parties to the fold, then as long as they pay their fees, they're welcome to develop for the consoles. Sony and Microsoft both spend a lot of money working closely with developers and publishers they don't own, to make sure the third party games perform well on the HD consoles. Sony, for instance, worked very hard to make sure that Vita launch was spectacular, despite having very few of its own games on there. It clearly works; Nintendo has proven it knows games and how to sell them, so I'm not sure you can really criticise this approach, but it does explain why the third parties do better on the other consoles. Well, third parties do well on other consoles because they put actual effort on other consoles (advertising, A teams, AAA budget, etc.) I'm having trouble finding something that fits that with the Wii. Maybe Monster Hunter Tri that had all three of those? And I don't understand your DS/third party comment. I didn't have any third party games in my PS3 list, so what does that say about third parties there? Nothing. Third parties did extraordinarily well on DS. The library of the system rivals that of the PS2 and SNES. Anyway, when third parties put forth effort on Nintendo consoles, they actually *gasp* do well. When they don't, they both suffer and then merrily blame the user base or Nintendo. Third parties set up a self-fulfilling prophecy this gen with Wii. There's no other explanation. Let's use Capcom as an example since it's a great one. The company put out Resident Evil 4: Wii Edition and it sold well. What do they do? Put out two on-rails shooters instead. Why not an actual third-person shooter in the vein of RE4? It's idiocy. The Wii and third parties is without a doubt the biggest waste of potential in gaming history. And Microsoft *needs* third party support because, let's face it, their first party output is not good. And the studios of quality they did have they dissolved. Maybe Nintendo should follow MS's example and buy as many third party exclusives as possible? They did it with Monster Hunter so far and Dragon Quest. It seems to be working as those are selling well on the 3DS and probably the Wii. This is why you see Microsoft (who has loads of money to waste and blow) putting their logo (the Jump In whoosh) at the end of most third-party game commercials (I do not know if it's the same in Australia, but here in the US they have put it after every Call of Duty, Batman, Final Fantasy XIII-2, and a myriad of other games). They have to. What else do they have except Halo and Gears? Oh, yeah. Kinect. Let's not get started on that. Oh, and don't get me started on the third-parties who say "we can't compete with Nintendo." These comments usually come from the developers who put out games with a MetaCritic score of 60 or under. "We can't compete, so we won't." Yet another self-fulfilling prophecy. "We'll put out a game, but we won't advertise it at all. 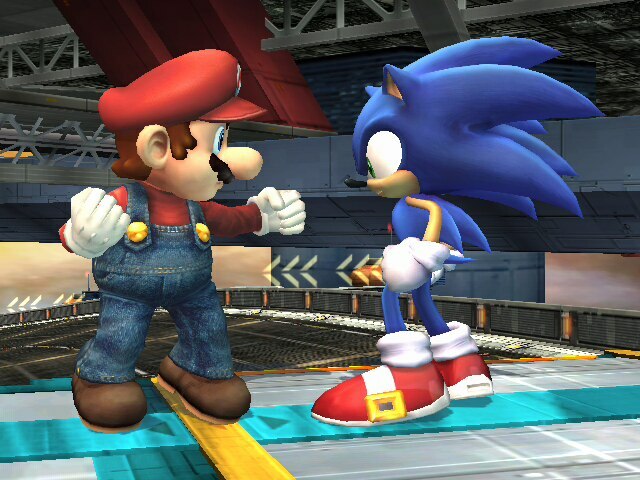 When it doesn't sell, we won't put out any more games for Nintendo systems." You got it-- self-fulfilling prophecy. Sadly I have to agree with Matt/GamesAndBiz. The best selling games on Nintendo's consoles are the first party games like Mario and Zelda. It's a different story for the PS3/Vita and Xbox 360. Still, Nintendo makes games and they make games well. "The best selling games on Nintendo's consoles are the first party games like Mario and Zelda. It's a different story for the PS3/Vita and Xbox 360." I never said anything different on that. I don't understand what that has to do with what I responded with though. SMG2 definitely deserves the top spot on this list, but no spot for No More Heroes? I mean the original, not that shoddy remake for the other systems. Traveling an empty Santa Destroy with a bike and doing lame activities just to earn enough money to be able to fight the next assassin drained on my soul. Games "Journalism" is a Joke. Here's Why.